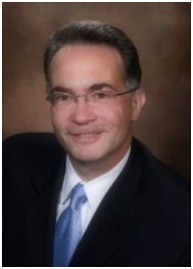 Jay Richards, CFP® has been advising successful businesses, individuals and families for over twenty years. He is both managing partner and Chief Compliance Officer of Investment Advisory Group. Jay is a member of the National Association of Personal Financial Advisors, and has been a past contributor to many periodicals and radio shows where he has shared his views on financial planning and investing. Jay has perspective as a Certified Financial Planner® and looks at the whole life picture for clients to best understand their goals and their decisions to date, then create a path that fits their particular needs and objectives. Jay holds several General Securities registrations including the Series 7, the Series 63 and the Series 65. He holds a Massachusetts Individual Insurance Broker’s License and is able to help clients directly with their insurance needs. Jay graduated from Hofstra University with a bachelor of science degree in finance. He spent many years working with clients at a large institutional investment firm, and decided that helping clients with an independent focus not tied to specific products or services was a key component of making good financial decisions. He enjoys working with clients and creating portfolios and financial plans around their needs.